The Labour Party's mayoral candidate in recent elections in Vilnius, Jonas Pinskus, announced on Monday about his withdrawal from multiple positions held in the party. 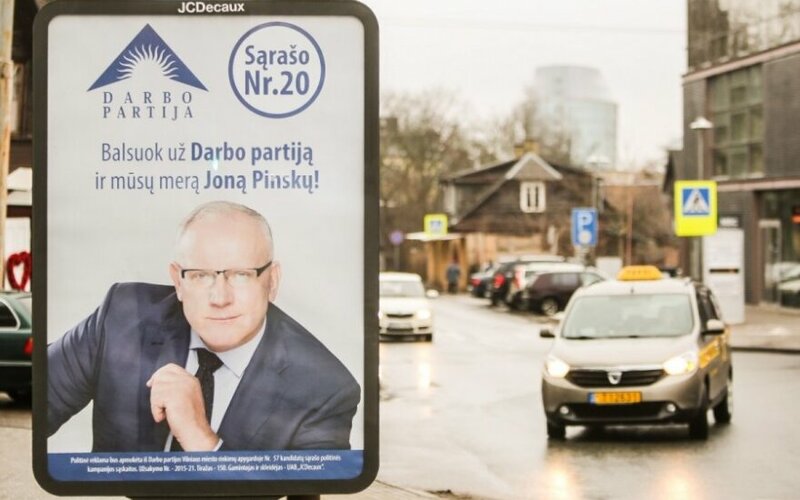 Pinskus posted a message on his Facebook account, "I have submitted a statement to the leadership of the party in which I take full responsibility for dissatisfactory municipal and mayoral election results in Vilnius. I am withdrawing as the Labour Party's deputy chairman and chairman of Vilnius Chapter, and from the positions held at the Board, Presidium and Council." Pinksus thanked voters for their trust and support. He also thanked election headquarters and volunteers, members of Vilnius Chapter, other candidates of the party and representatives in election committees for their work and help preparing for these elections. "I wish everyone strength ant success in future deeds," he wrote. As reported, Pinskus is not the only one to have stepped down, Seimas Speaker Loreta Graužinienė resigned as the Labour Party's chairwoman on 17 March. The Labour Party had 165 mandates after previous municipal elections, whereas now the number of councillors fell to 148. 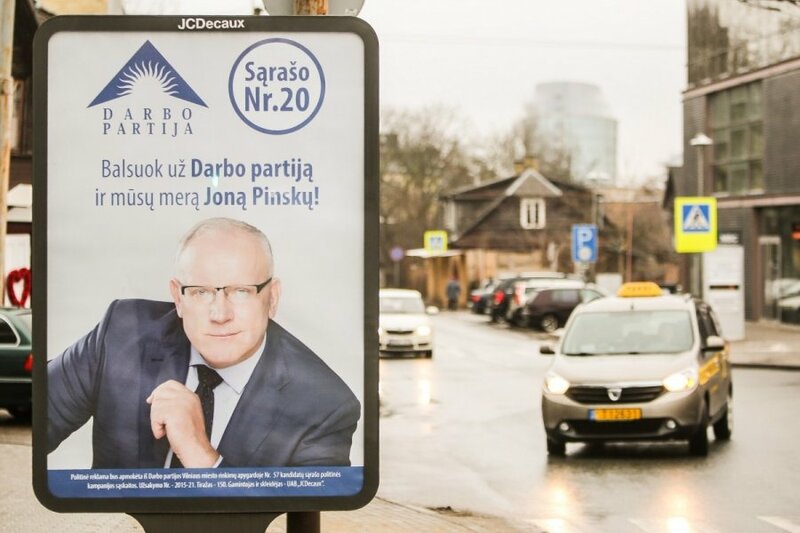 Moreover, the Labour Party did not surpass the required threshold of votes and did not win any seats in municipalities of Vilnius, Kaunas and Klaipeda cities. On 6 June, the Labour Party's congress will convene to elect a new chairperson. Last week it was decided that the party will be temporarily headed by its founder Viktor Uspaskikh.